Doesn't it seem like sometimes the easiest of tasks can elude even the smartest among us? Take hanging a picture for example; doesn't seem like there's much to it: Picture in frame, nail, hammer. Right? Wrong! 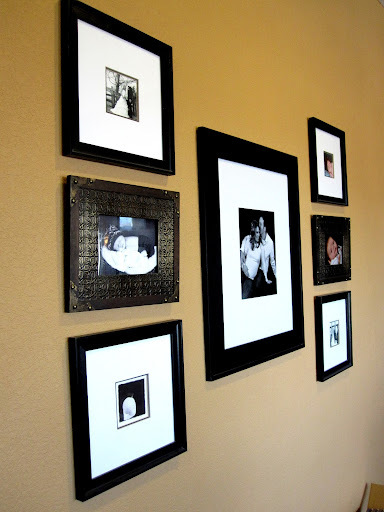 This task is deceptively easy as there are right and wrong ways to hang a picture. 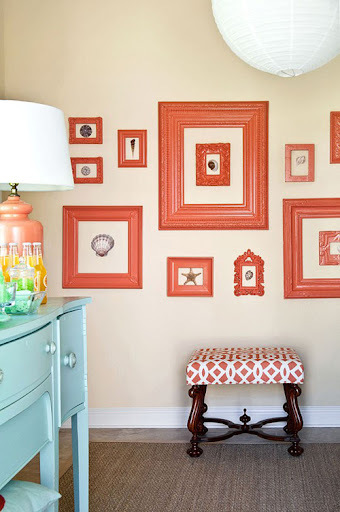 A well executed plan for wall design can make or break a room, and a crooked frame can drive a guest simply mad! Alright, so it might not be rocket science, but using a few expert tricks might really change the look of a few rooms in your home without much work. Not a fan of this one...The brown frames seem to compete with each other and bring no feeling of symmetry to the layout. And, while we may not be big proponents of getting your kitchen from Lowes, we have no problem taking some picture hanging tips from them. Check out this helpful YouTube video! 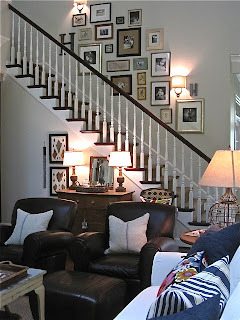 Photo wall galleries are such a growing trend. 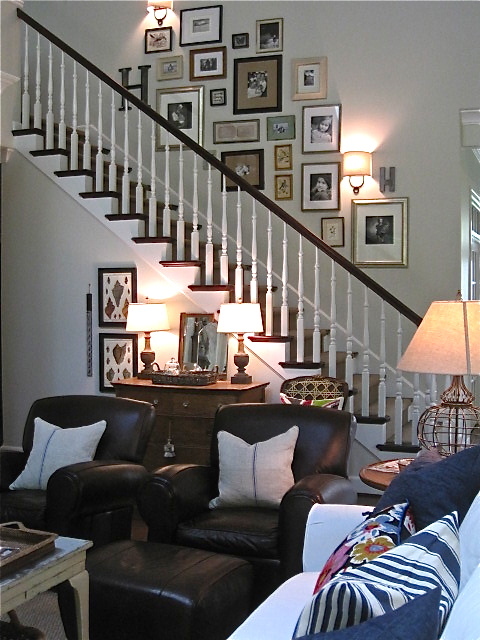 Knowing the tricks to hang a picture will make the DIYer's job much easier!